Lydia Reid learned in 2017 there were no remains in the coffin of her son, who died in 1975. 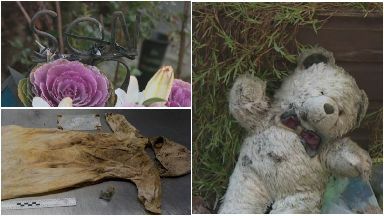 A mum is desperate for the chance to bury her son's remains before she dies. Lydia Reid, from Edinburgh, lost week-old Gary in 1975, but in 2017 discovered there were no remains in his coffin. His body was held by health board NHS Lothian during what became known as the organ retention scandal. Between 1970 and 2000, approximately 6000 organs and tissues were kept by Scottish hospitals, many from children. 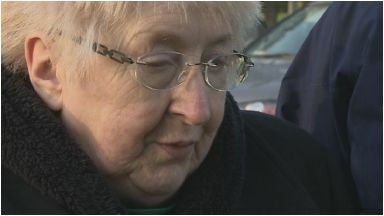 Lydia, 70, has no idea what remains of Gary and is now crowdfunding to launch a legal bid to find out - but she fears she may die herself or even go bankrupt first. She said: "I accept the fact that I'm not going to find his body. I am not going to find any other parts of his body, but I do want what they have of him back for burial. "What do I do? Do I just go to my grave and let them keep the parts of him, let him not have a funeral? "Who knows, by the time you get to 70, I could die in my bed tonight." Gary's disintegrated coffin was exhumed in 2017 after Lydia was granted a court order. All that was found in the burial plot at Saughton Cemetery in Edinburgh was a shawl, a hat, a cross and a name tag. A police investigation was launched, but Lydia said she had been left frustrated by the lack of developments. In a statement, Police Scotland said: "Police Scotland have a dedicated inquiry team who have been investigating this matter since it was reported to us and we continue to undertake a number of lines of enquiry to fully understand the circumstances. "Police Scotland continue to work closely with the Crown Office and Procurator Fiscal Service to seek answers for the family." A spokesman for NHS Lothian said: "We are unable to comment while a police investigation is ongoing." 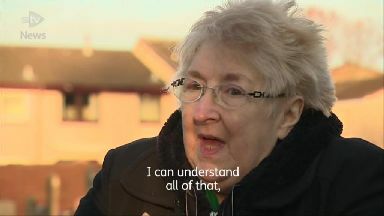 The pensioner has hopes to crowd fund at least £20,000 to get her legal fight under way.